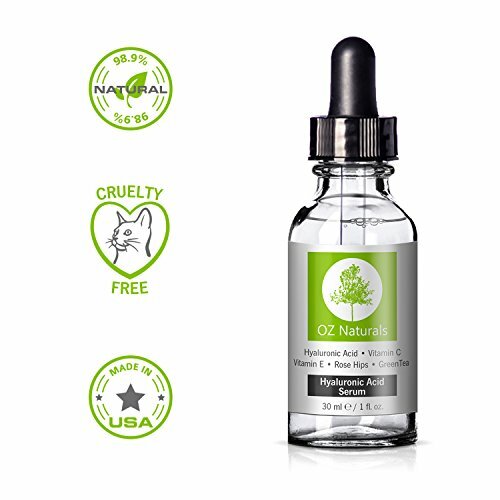 OZ Naturals – THE BEST Hyaluronic Acid Serum For Skin – Clinical Strength Anti Aging Serum – Best Anti Wrinkle Serum With Vitamin C + Vitamin E. Our Customers Call It A Facelift In A Bottle!, 1 oz. | MuchDeals! 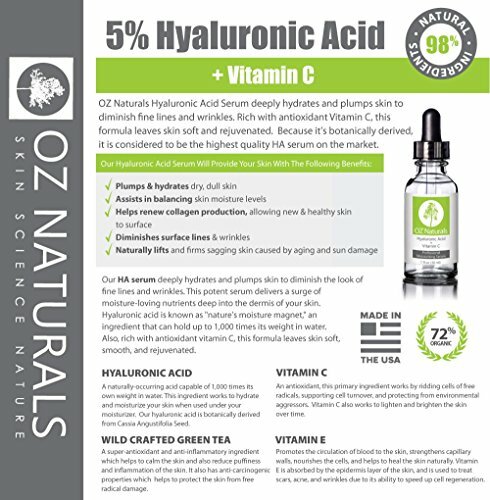 OZ Naturals - THE BEST Hyaluronic Acid Serum For Skin - Clinical Strength Anti Aging Serum - Best Anti Wrinkle Serum With Vitamin C + Vitamin E. Our Customers Call It A Facelift In A Bottle!, 1 oz. Price as of July 13, 2017, 7:04 am update. 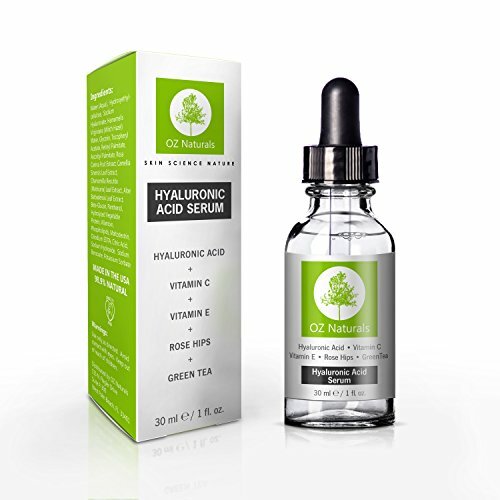 Professional hydration begins with the highest quality hyaluronic acid serum on the market! 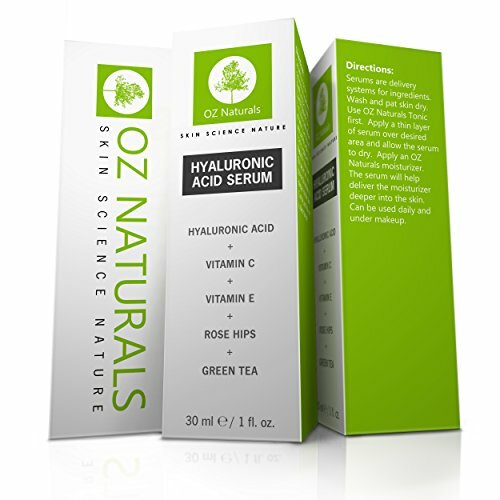 Oz Naturals hyaluronic acid serum deeply hydrates and plumps skin to diminish fine lines and wrinkles. Rich with antioxidant vitamin c, this formula leaves skin soft and rejuvenated and because it’s botanically derived, it is considered to be the highest quality ha serum on the market. The sponge-like matrix of our hyaluronic acid serum holds in the moisture that is responsible for plumping skin and diminishing fine lines and wrinkles. Its formula has been designed to create the perfect mix of ingredients your skin needs to achieve a youthful, lifted glow. Behind the science: our HA serum deeply hydrates and plumps skin to diminish the look of fine lines and wrinkles. This potent serum delivers a surge of moisture-loving nutrients deep into the dermis of your skin. Hyaluronic acid is known as “nature’s moisture magnet,” an ingredient that can hold up to 1,000 times its weight in water. Also, rich with antioxidant vitamin C, this formula leaves skin soft, smooth, and rejuvenated. 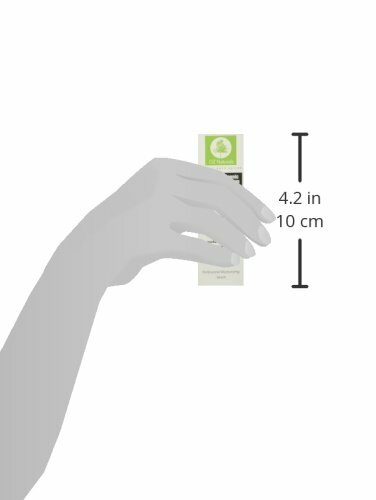 100% vegan, cruelty-free, paraben-free, sulfate-free, mineral oil-free, lanolin-free, gluten-free, and GMO-free. 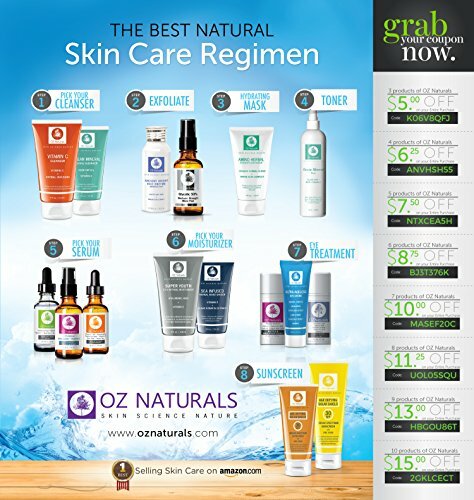 MADE IN THE USA in a state of the art FDA registered facility – OZ Naturals formulates the most effective anti aging products on the market – OZ Naturals products work & they work extremely well – This HA serum will provide your skin a more youthful appearance upon 1st use – We guarantee you’ll get results!